Don't you want to make a difference in your life today? 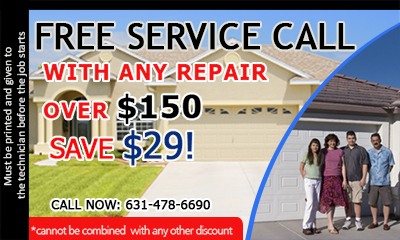 Contact Garage Door Repair Selden! Don't you know that unattended garage door problems can cause accidents? Let us help you protect your children! Let us assist you solve issues! We're experts in all types of garage doors and excel in their maintenance. Rely on us! We make the difference in New York! That's a good reason to call us! We're there when you need us with excellent, high tech tools and plenty of experience to spare for you. We're expert technicians and provide garage door repair services with attention, care and thoroughness. Do you have questions? We're here to answer them! Call us! Report specific problems or make an appointment for garage door replacement! We are excellent advisors, can order your new garage doors and openers, and excel in installation services. Count on our accuracy! Put your trust in the professionalism of our teams!